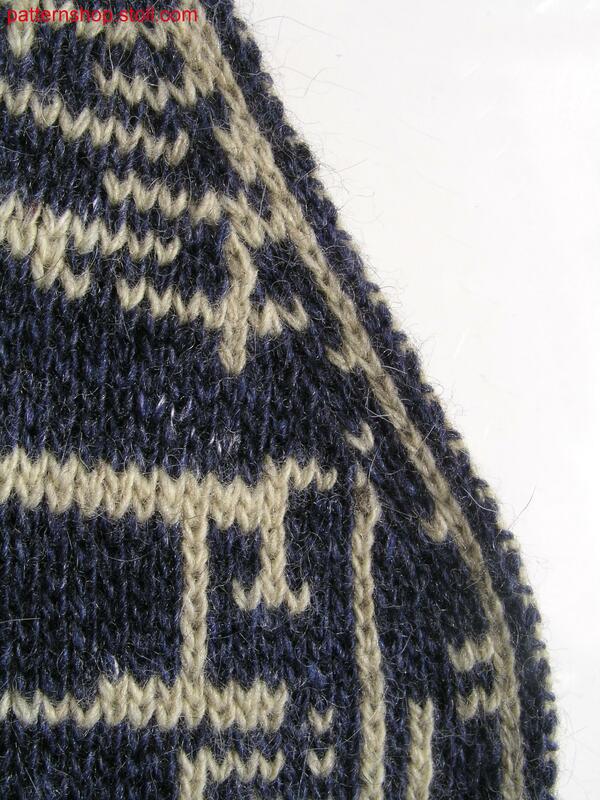 Fully Fashion-intarsia swatch with 2-colour jacquard in 1x1 rib. 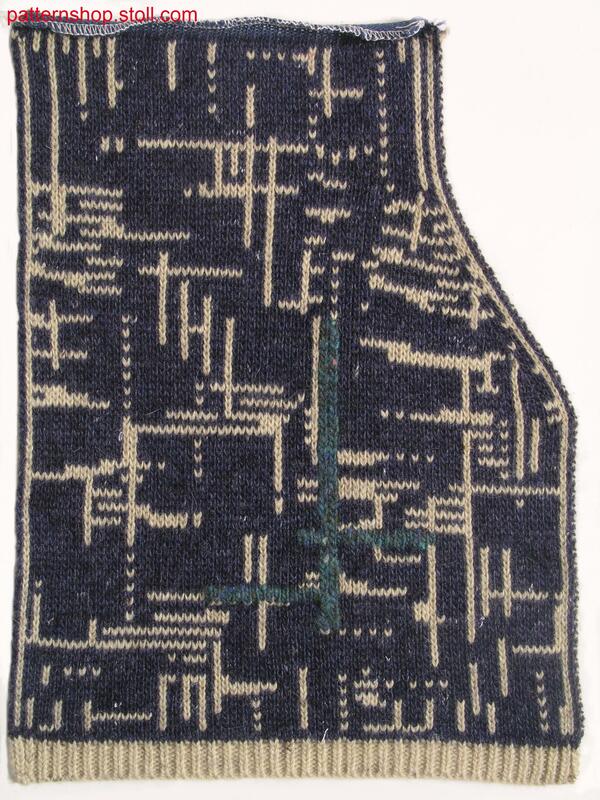 Fully Fashion-Intarsia Musterausschnitt mit 2-farbigem Jacquard in 1x1 Rippe. 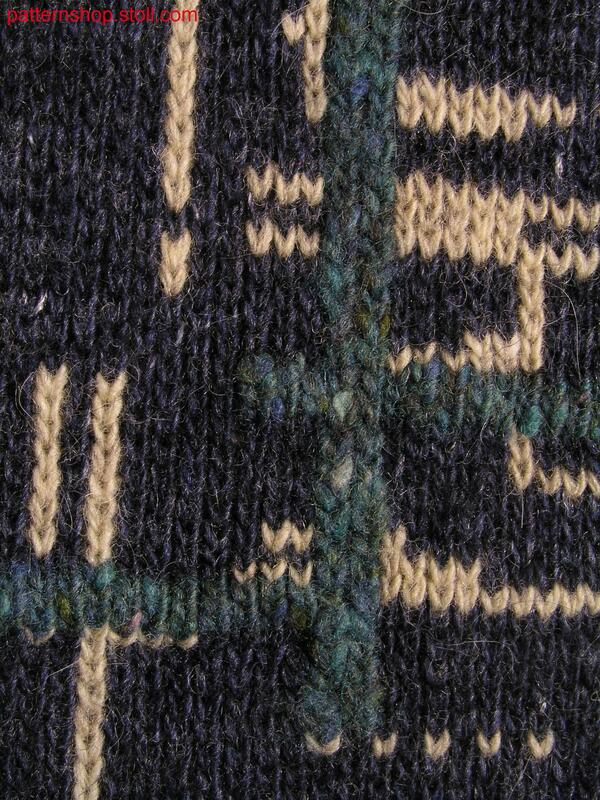 1 knitted fabric(s) / Strickteil(e) 3 min. 52 sec. 1.00 m/sec.